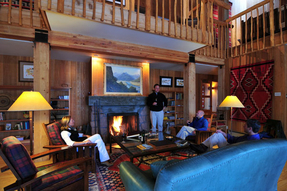 Henry’s Fork Lodge is the finest lodge in Island Park. Guests will have a “five star” experience with their beautiful rooms, outstanding service, and excellent restaurant. The lodge is located on the banks of the Henry’s Fork only six miles south of our fly shop.